Welcome to a world of extreme temperatures, giant blue icebergs and a small human popular that is vastly outnumbered by penguins. The Falkland Islands and Antarctica are sometimes thought of as the Final Travel Frontier, but they are not as difficult to travel to as you might think. We can offer you a once in a lifetime travel experience so that you can take a journey to the remote mountain ranges, enormous ice shelves and glittering glaciers. The Falkland Islands are often a stopover for Antarctic voyages, but they are worth seeing on their own. Their history is filled with controversy and they have been claimed by Britain, France, Spain and Argentina. The main reason to visit this gorgeous and remote islands is for the flora and fauna. There are many incredible species to see here, including five species of penguin as well as geese, hawks, falcons, seal, albatross and much more. Venture even further into Antarctica, where you can feel like a true explorer on an expedition to witness some of the most harshly beautiful and remote scenery in the world. Our tours are designed to offer you the best possible experience, so that you can relax and enjoy your stunning surroundings. Although Antarctica is an extreme destination, we will make sure that you enjoy warmth, comfort and luxury every step of the way. 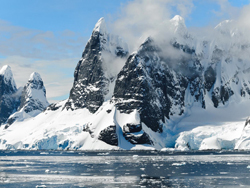 To find out more about our tour experiences in Antarctica and the Falkland Islands, please contact us today. The best time to visit is during the summer of the Southern Hemisphere, from December to February. Not only is this the warmest time of the year, but it is also the best season for seeing wildlife activity. The weather will be bright and clear and you will also get a chance to enjoy many of the local festivals in the Falkland Islands, such as Liberation Day and the May Ball. However, there are some other good opportunities throughout the year to see wildlife. Elephant seal pups can be spotted in October and November and March and April are the best times for seeing Magellanic penguins. When it comes to venturing further into Antarctica, November to March is the only time that travel is possible – as during this time the ice breaks up and allows the ships to pass. November is the best time for viewing enormous, beautiful, sculptural icebergs. There are so many adventures to be had on the Falkland Islands and in Antarctica. Take an excursion to visit a penguin rookery, where you will find five different species of penguins including the rare Macaroni penguin, the crested Rockhopper and the Magellanic, King and Gentoo penguins. Visit the Historic Dockyard Museum in the capital city of Stanley on the Falkland Islands, which focuses on the social, maritime, pioneering and natural history of the islands and includes three of the oldest buildings in the city. Christ Church Cathedral is also worth checking out, as it is the southernmost cathedral in the world and has a unique arch made from a whalebone. Then, you can take a trip out to Gypsy Cove where you can see a range of wildlife including Magellanic penguins. At Kelp Point you can see elephant seals as well as black necked swans and other various birdlife. In Antarctica you can swim at Deception Bay, which is a caldera of a volcano where the water is warmer due to geothermal activity. 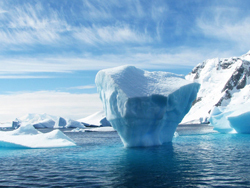 Or, take a zodiac cruise so that you can see penguins, icebergs and leopard seals close up. Sail through the Lemaire Channel so that you can see icebergs and snow capped mountains and take some stunning photos. Sea kayaking is also a fantastic way to see the natural beauty and wildlife of Antarctica up close. Also, don’t miss the chance to mail a letter at Port Lockroy so that your friends and family back home can receive correspondence that is postmarked from Antarctica. No matter what you want to do on your adventure travelling to the Falkland Islands and Antarctica, we can arrange the trip of a lifetime for you. Our packages are all inclusive, so every detail is taken care of and any experience you want to have while travelling in the Falkland Islands and Antarctica can be easily arranged – just let us know! All visitors to the Falkland Islands who will be staying the night (ie, not stopping off for the day on a cruise ship) must show proof that they have a return ticket and accommodation booked. Also, you must show that you have sufficient funds to cover your expenses during your time on the islands. A major credit card can be used as this proof of funds. A visa is not required for visitors from Canada, Australia, the EU, New Zealand, the USA, Iceland, Japan and several other countries. Crime is not really an issue in the Falkland Islands, but it is still a good idea to take smart precautions such as not leaving items unattended. There are some areas where landmines can still be found, but they are clearly marked. Keep a safe distance when viewing wild animals such as sea lions, elephant seals or fur seals. They can be aggressive when they feel threatened or when they are with their young. A good rule to follow is that if the animals has noticed that you are there, you are probably too close to it. It is also important to wear sunscreen when travelling in the Antarctic. The sun can be surprisingly strong and it will reflect off the ice and snow. Also, there is a hole in the ozone above the Antarctic which means that UV rays are more dangerous. It is highly recommended that you have travel insurance that covers the cost of medical evacuation. Outside of the capital city of Stanley in the Falkland Islands, there are very few medical facilities. If you happen to be seriously injured you will need to be airlifted away. Visitors to the Falkland Islands should be up to date with Hepatitis A and Typhoid vaccines, especially if you will be visiting rural areas or if you are an adventurous eater. There are no immunizations listed as required by the CDC for visitors travelling to Antarctica. There is no official currency of Antarctica, as it is a continent and not a country. Most bases in the Antarctic accept US currency and they will also often accept the currency of the country that operates them. There are “Antarctica Dollars” but they are only souvenirs. The currency of the Falkland Islands is the Falkland Island pound, which is fixed at a rate of one pound Sterling. However, you can use notes and coins from the Bank of England. Also, many of the main hotels and shops in the capital city of Stanley will accept Visa and Mastercard. There are no ATMs on the island, but it is possible to get a cash advance at the bank using your credit card.